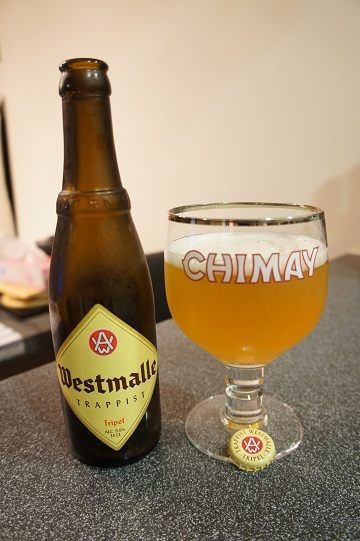 Other Notes: Trappist beer. As per the website, the larger 75cl bottles mature differently to the 33cl bottles. They say that in the larger bottles, you will notice a more subtle aftertaste. 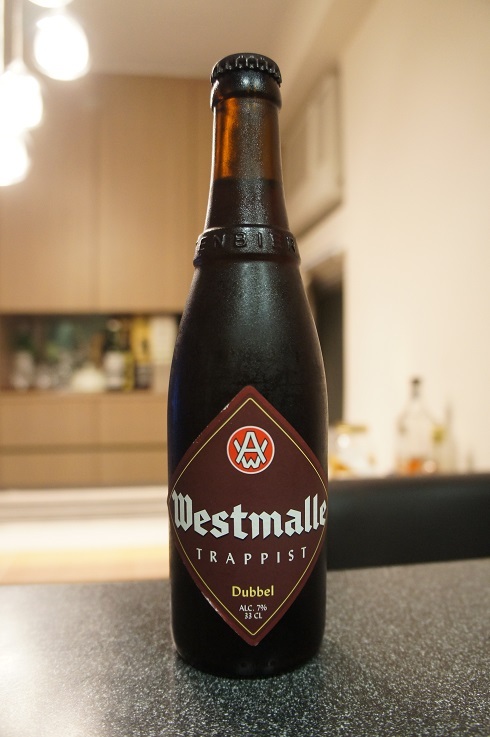 Brewer Description: (from website) Westmalle Dubbel is a dark, reddish-brown Trappist beer with a secondary fermentation in the bottle. The creamy head has the fragrance of special malt and leaves an attractive lace pattern in the glass. The flavour is rich and complex, herby and fruity with a fresh-bitter finish. It is a balanced quality beer with a soft feel in the mouth and a long, dry aftertaste. 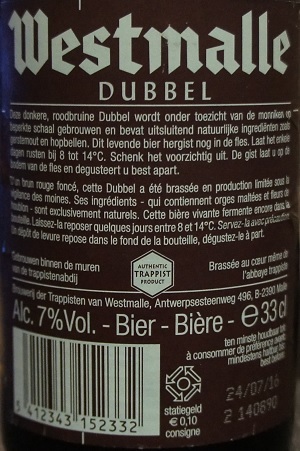 The Dubbel contains 7% alcohol. Intro: A 330ml bottle with a best before date of 24th July 2016 and poured into a Chimay goblet glass. Appearance: It poured a dark brown colour with a slight reddish hue and a two finger beige head that slowly settles to a nice thin but creamy puffy layer while leaving nice curtain lacing. Aroma: Strong dark fruits with cherry, plum, prune, raisin, grape and a hint of banana, toffee and caramel in the background. 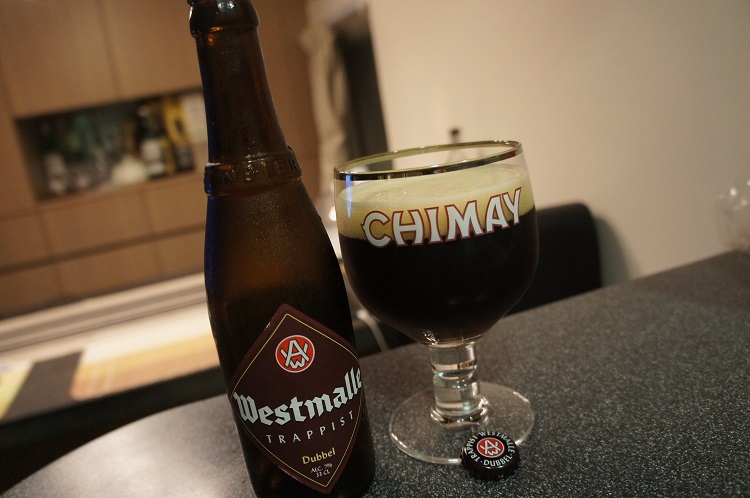 Taste: Some toffee and caramel before a blast of lightly sweet dark stone fruits, cherry, plum, grape, fig and raisin. Mouthfeel: Dry, medium to full bodied with moderate to high carbonation. Overall: Excellent Dubbel, excellent beer. Nice complexity and balance in the aromas and taste and is definitely a must buy beer for me. Other Notes: As per the website, the larger 75cl bottles mature differently to the 33cl bottles. They say that in the larger bottles, the fruit flavours are softer, riper and there’s also a hint of vanilla. 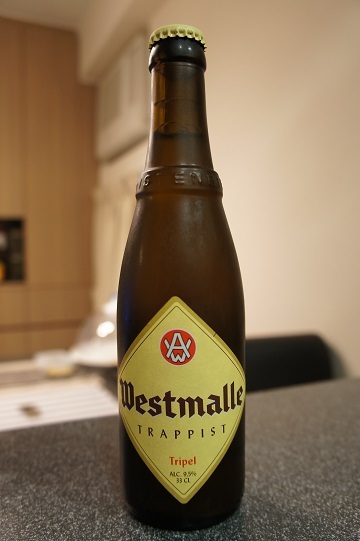 Brewer Description: (from Westmalle website) Westmalle Tripel is a clear, golden yellow Trappist beer that undergoes a secondary fermentation in the bottle (9,5% alcohol). It is a complex beer with a fruity aroma and a nice nuanced hop scent. It is soft and creamy in the mouth, with a bitter touch carried by the fruity aroma. An exceptional beer, with a great deal of finesse and elegance. And with a splendid long aftertaste. Intro: The 33cl bottle had a best before date of 23rd July 2016 and was poured into a Chimay goblet. Appearance: It poured a hazy golden straw colour with a white head that dissipates fairly quickly leaving thin soapy like lacing. 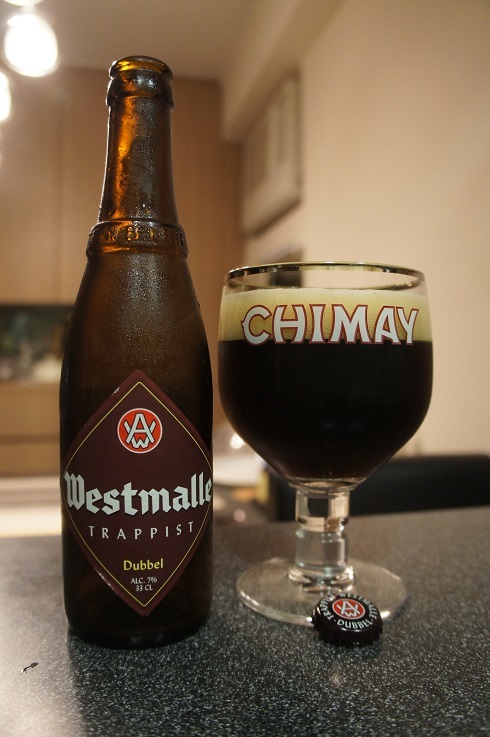 Aroma: There were aromas of bready malts, caramelised banana, candied sugar, slight bubblegum ending with lemon sour? Taste: Tastes of sweet bready malts, orange, pear maybe some lingering banana ending with some slight alcohol. Mouthfeel: Medium bodied with nice carbonation. Creamy and also somewhat sticky. Overall: This was a decent tripel. The best thing about it was its look especially the thin soapy lacing. The taste itself was decent, but nothing too special either.